In celebration of Black History Month, we are remembering influential architects of color. 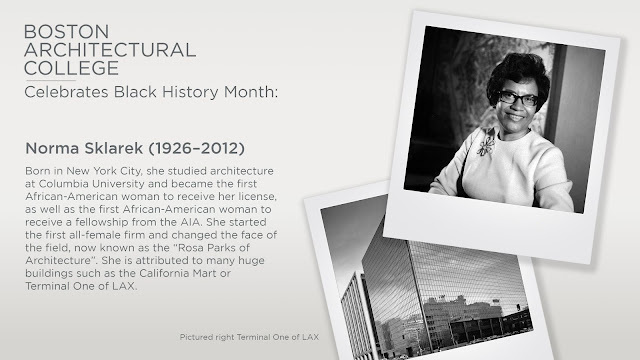 This week, we are acknowledging Norma Sklarek, the first African-American woman who became a member of the AIA and has forged the path for many women after her. Known as the "Rose Parks of Architecture", her legacy as one of the first self-started and entrepreneurial female architects of color influences many people to this day.